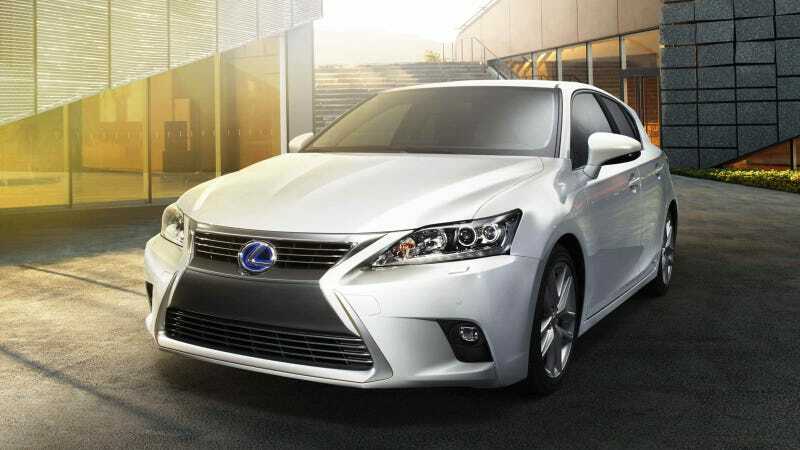 Are you a HUGE fan of the Lexus CT 200h like I am? Of course you are. Now that exciting hybrid is about to get even more thrilling because it gets the "spindle grille" nose from other Lexuses like the 2014 IS. Nose jobs are always fun! "Nose job" is the term I like to use (I probably didn't invent it, I'm not that clever) for cars that get refreshed mid-cycle to fit with a new design language. Most cars are around for four or more years these days, so automakers have to freshen them up to keep buyers interested. That often means adding styling features that were never meant to be there so the old car fits with the rest of the lineup. Sometimes it works; most of the time, it doesn't. And in this age of "corporate grilles" where everyone wants the front ends of their cars to look the same, some nose jobs end up as real design disasters. That's our Show Us challenge for the day: show us the worst car nose jobs around. I'll get you started with a few of my, um, favorites.